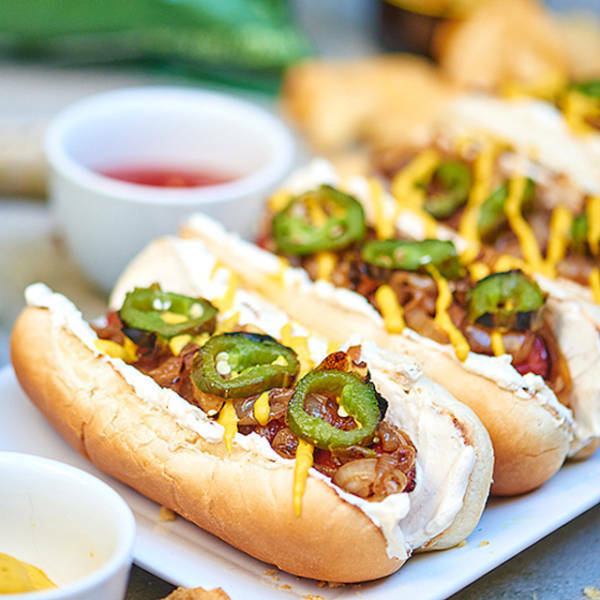 Italians start with by deep frying their hot dog and placing it in an Italian roll with bell peppers, onions, french fries, ketchup, and mustard. 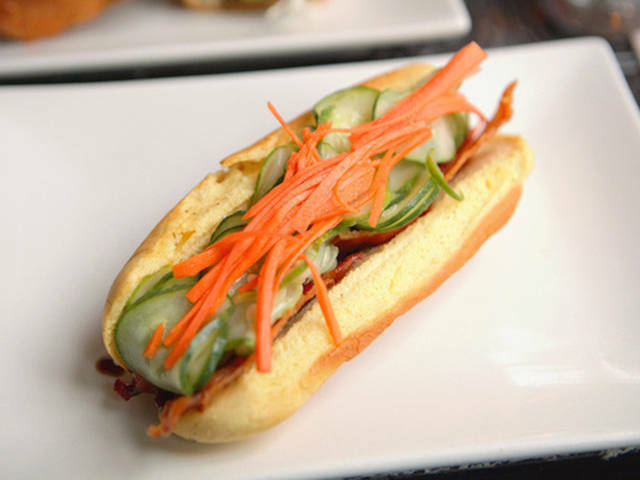 Originally trademarked in North Carolina and popularized in NYC, the bagel dog is exactly what you’d expect. If a fried hot dog isn’t enough for you, then top it with some fried balogna and add some mustard. 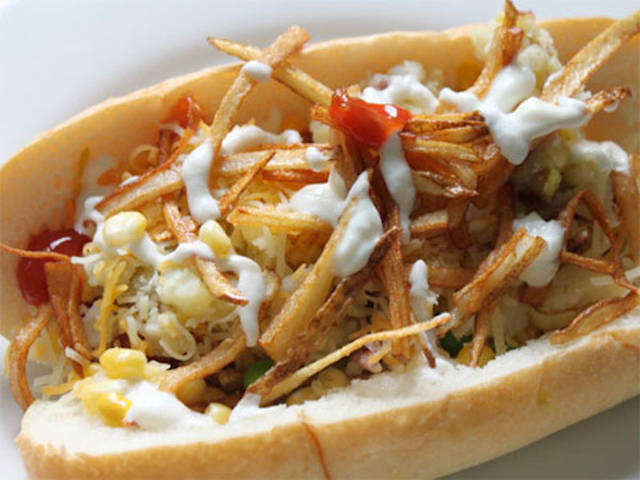 This dog isn’t messing around with pico de gallo, corn, grated parmesan cheese, shredded carrots, diced ham, cilantro, and shoestring fries. 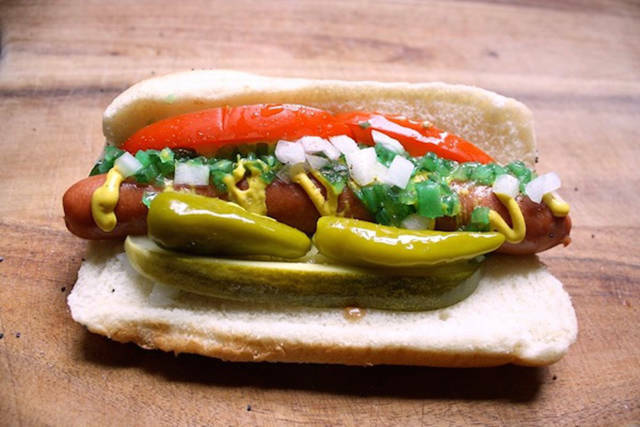 This classic dog has a little bit for everyone with a poppy seed bun, pickle spear, celery salt, tomatoes, whole pickled peppers, chopped onions, neon green relish, and topped off with mustard. 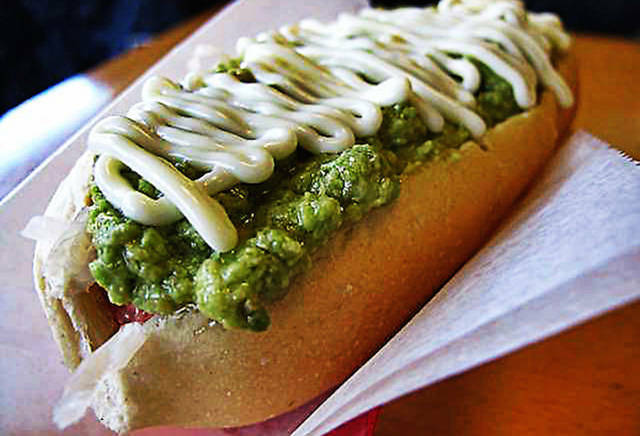 Not to be confused with a “Chili Dog,” This hot dog is covered with tomatoes, sauerkraut, mashed avocado, and mayonnaise. 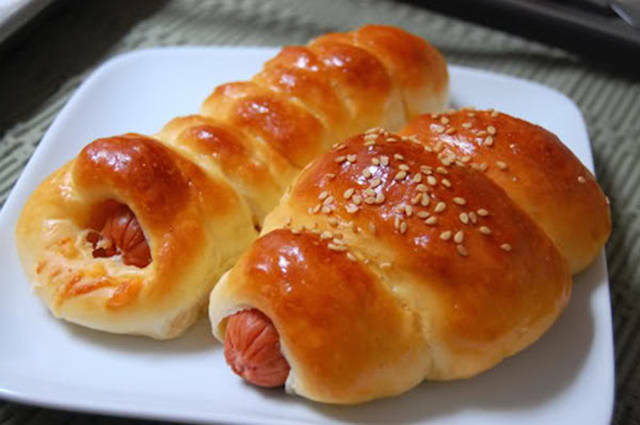 In China, hot dogs are wrapped in a thick and fluffy dumpling like dough that is covered in sesame seeds. 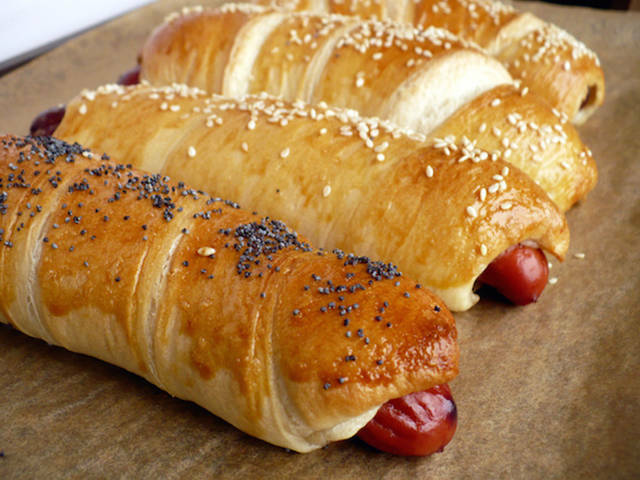 It’s like pigs in a blanket but more dough-y. Out in Cleveland, they throw a Kielbasa on a bun and top it off with French fries, hot sauce, and cole slaw. 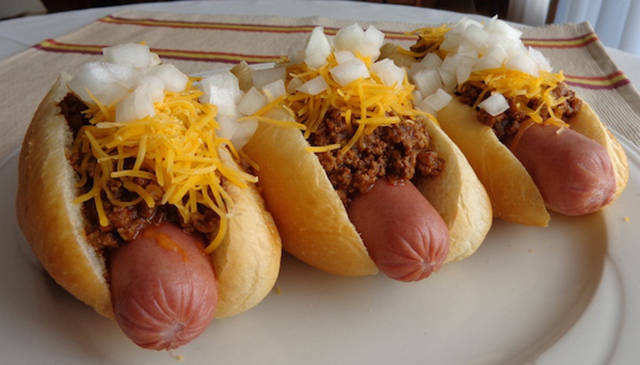 When Greek immigrants came to America through Ellis Island, they brought with them this great recipe of a short hot dog topped with chili, chopped onions and a pile of shredded cheddar cheese. Argentina sure knows what they’re doing with a chorizo dog placed in a soft hero roll, covered in chimchurri, pickled onions, and tomatoes. Dog This is essentially a normal hot dog covered in ketchup and mustard, except for the fact that the bun is a roll with the center punched out. There is essentially no mess when eating one of these. 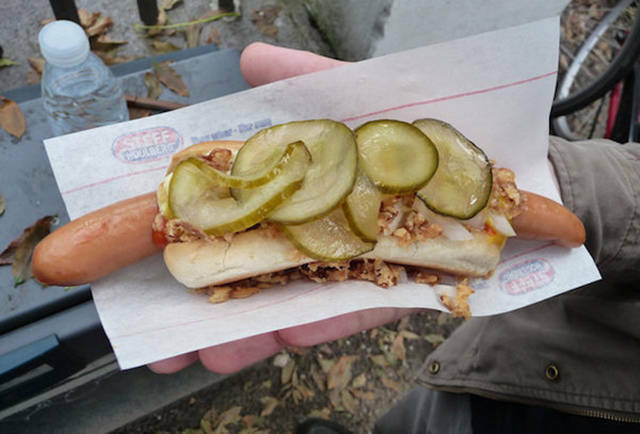 This footlong dog is covered in pickle chips, remoulade, ketchup, mustard, and both fried and raw onions. 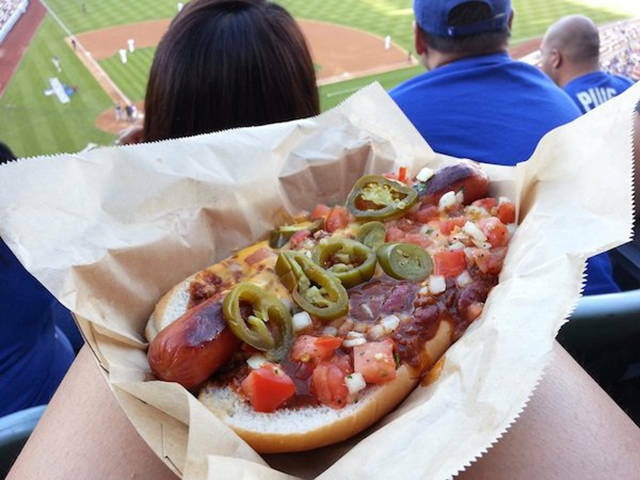 Hailing from the Dodger Stadium in L.A., the Doyer is a ten inch dog with mustard, nacho cheese, pickled jalepenos, and salsa. 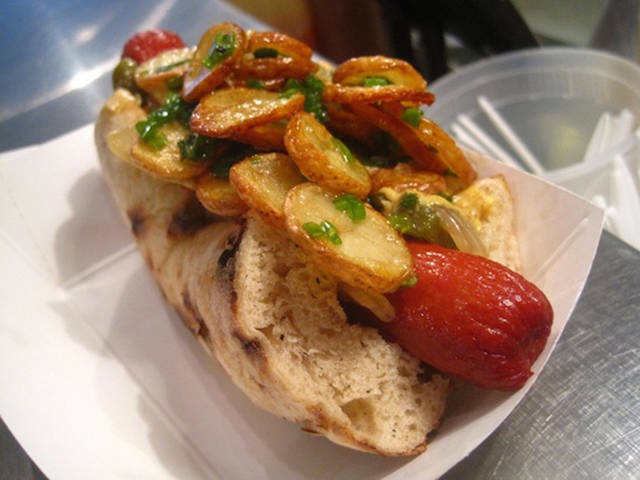 This unique take on the traditional hot dog requires a bowl to complete. 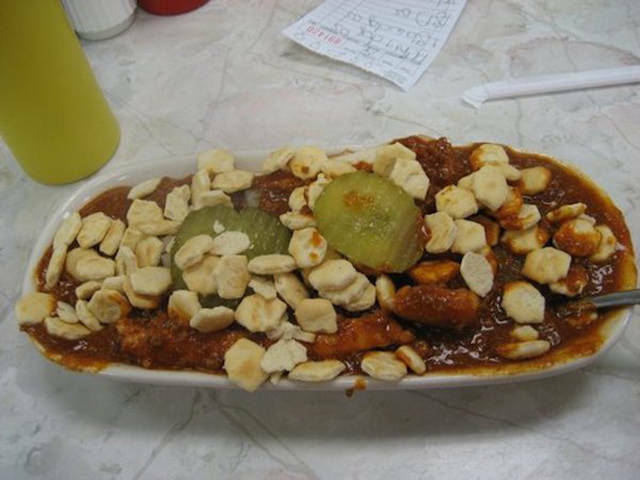 This dog is placed in the dish and covered in chili, chopped onions, sliced pickles, oyster crackers, ketchup and mustard. 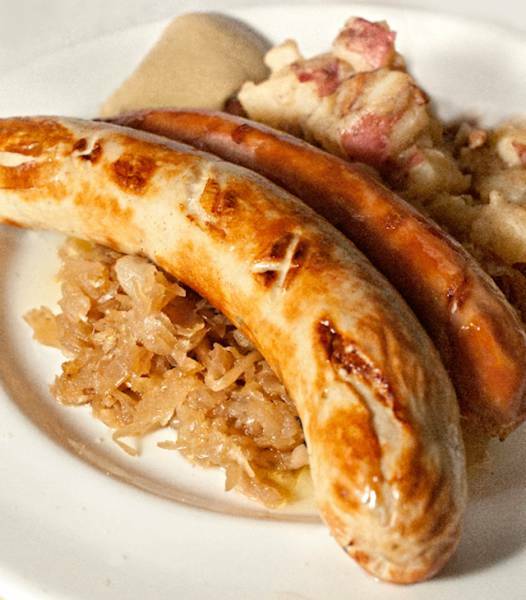 In Germany, traditionally the bun is ditched and a frankfurter is served alongside potato salad, sauerkraut, and mustard. 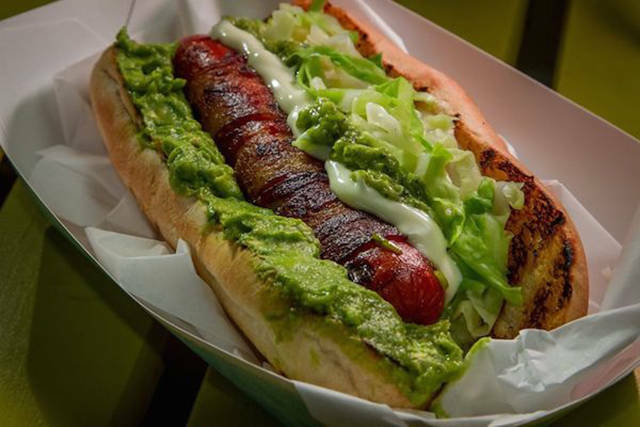 Guatemalans know what’s going on with this bacon wrapped hot dog on top of an avocado-coated corn tortilla, shredded lettuce, cabbage, mayonnaise, and chopped onions. 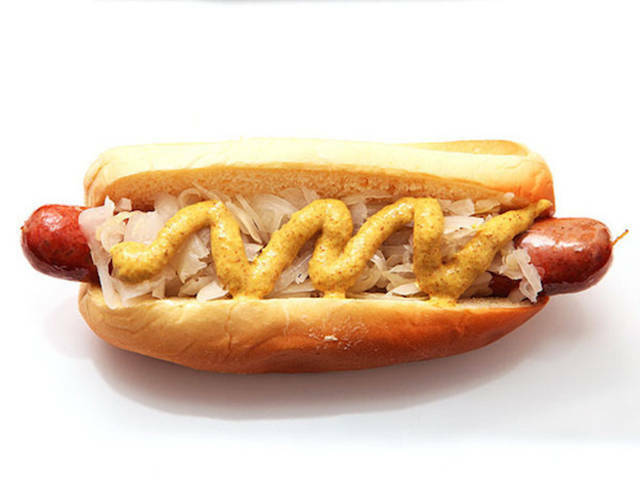 The New York dog is simple yet delicious with a plain dog topped with mustard, sauerkraut, and special onion sauce. 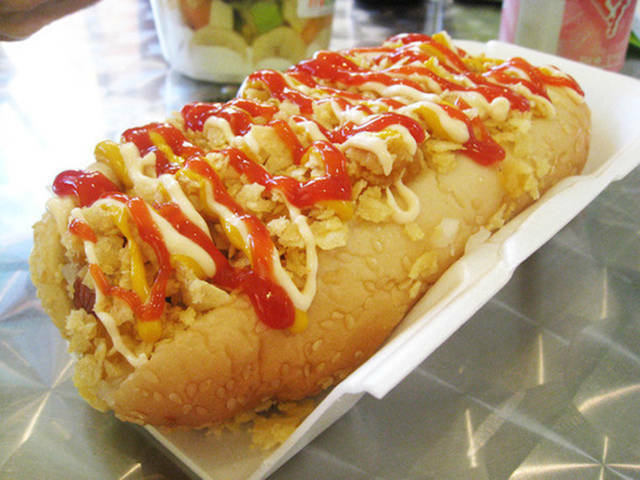 A plain hot dog covered in ketchup, mustard, mayo, pineapple, crushed potato chips, and often topped with boiled quail eggs. 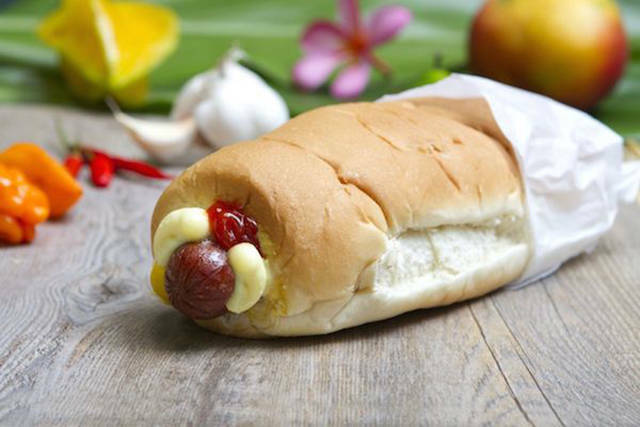 Hawaiians like their hot dogs sweet by putting them inside of a sweet bread roll alongside ketchup, mustard, and fruit sauces. 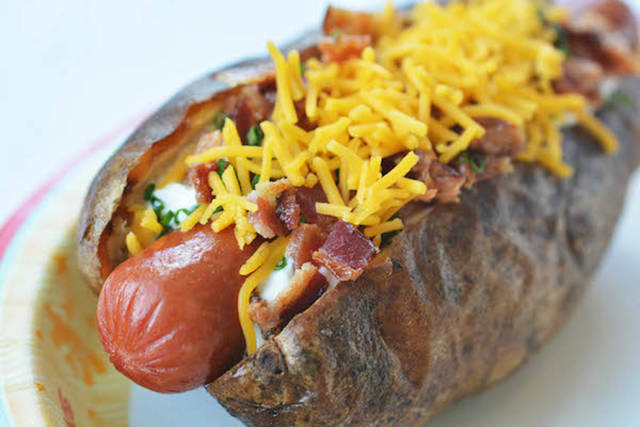 It’s no surprise that Idaho would integrate potatoes into their version of the hot dog, but they went all out by using a baked potato as the bun and topping it off with bacon bits, chives, cheddar cheese, and sour cream. 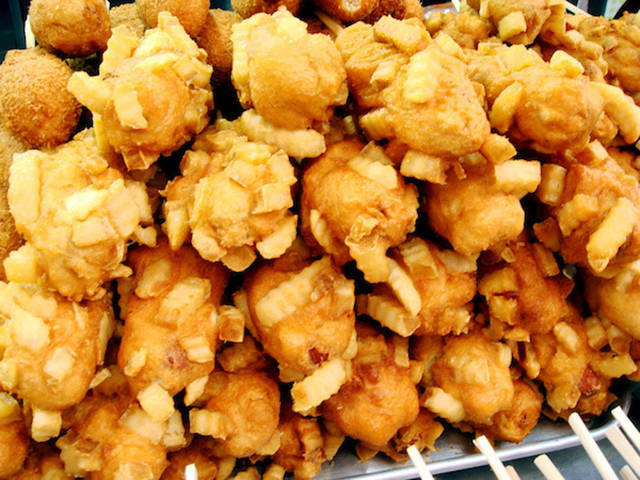 Corn dogs are one thing, but in Korea they coat the outside with krinkle cut french fries and batter before deep frying the entire thing. 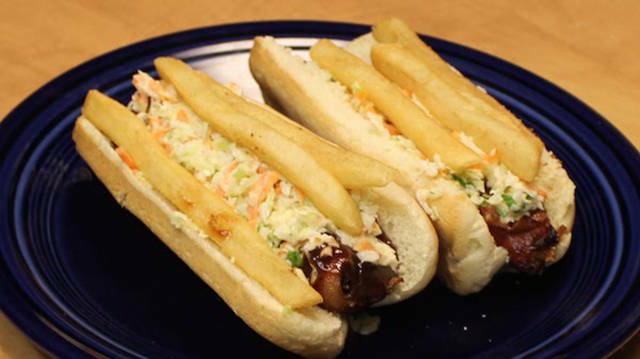 The Memphis dog also features a bacon wrapped hot dog with barbecue sauce, chopped scallions, and shredded cheddar cheese. 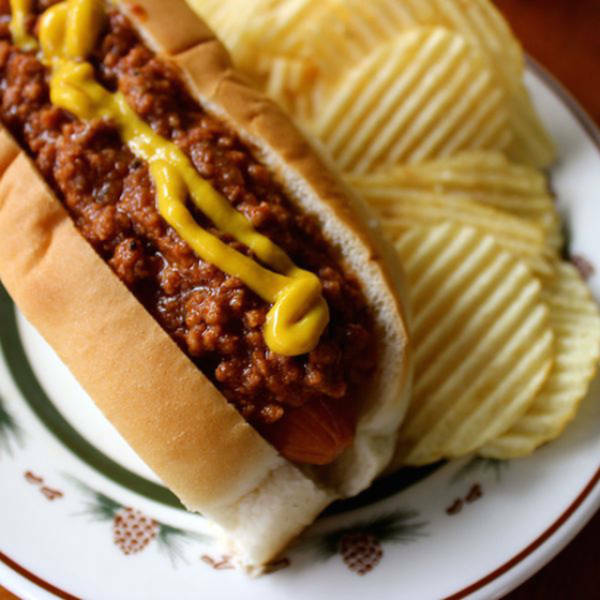 Much like the coney dog, Michigan keeps it simple with a hot dog covered in a tomato-based meat chili sauce and mustard. 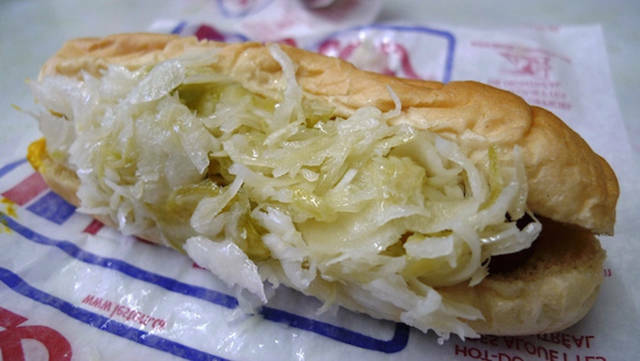 Canadians order this dog “all dressed,” as a steamed hot dog in a New England style bun topped off with mustard, chopped onion, and cabbage. Instead of a bun, this footlong dog is placed on flatbread and covered in ketchup and mustard. 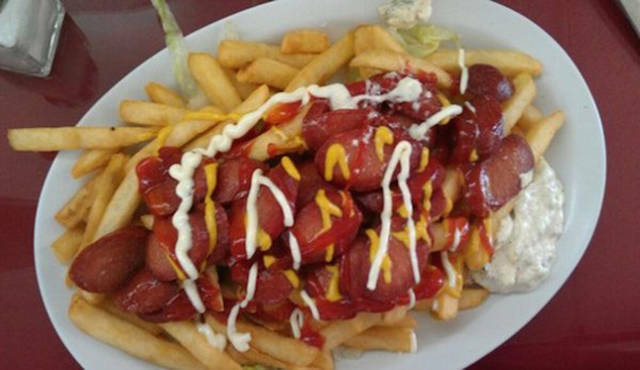 Peruvians ditch the bun and slice up their dog over a bed of fries, ketchup, mustard, and mayo. 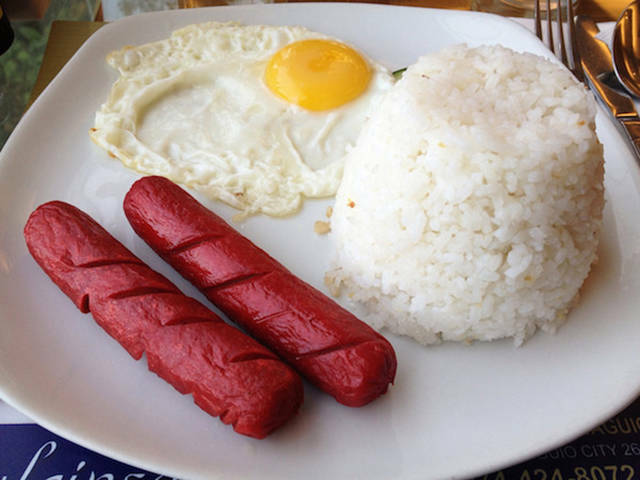 In the Philippines, the hot dogs are bright red and served bunless with a side of rice and a fried egg. 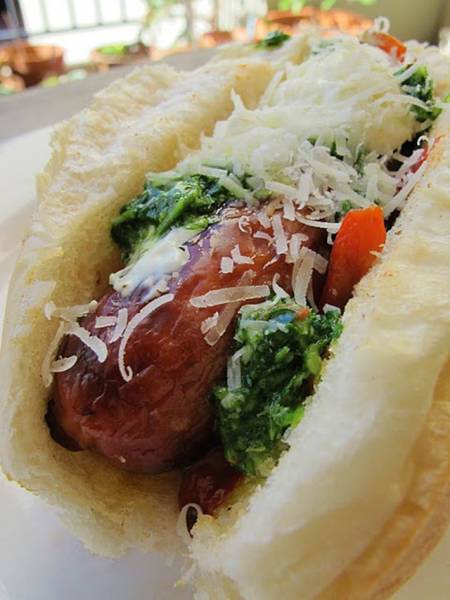 It sure rains a lot in Seattle but that didn’t stop them from making this mouth-watering take on the hot dog. 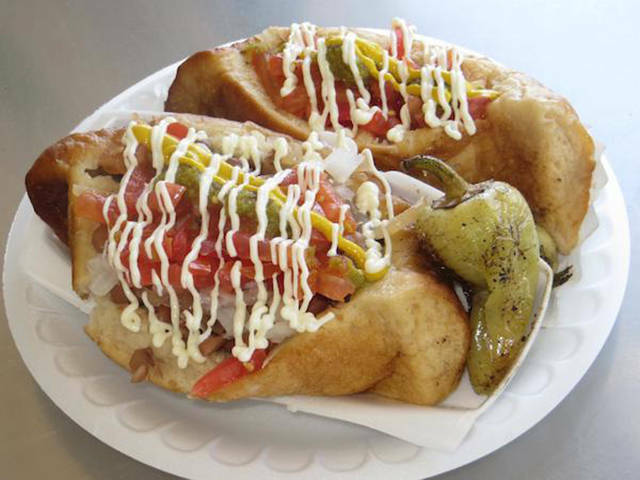 They replace the dog with a bratwurst and top it off with cream cheese, sliced jalepenos, chopped cabbage, and mustard. 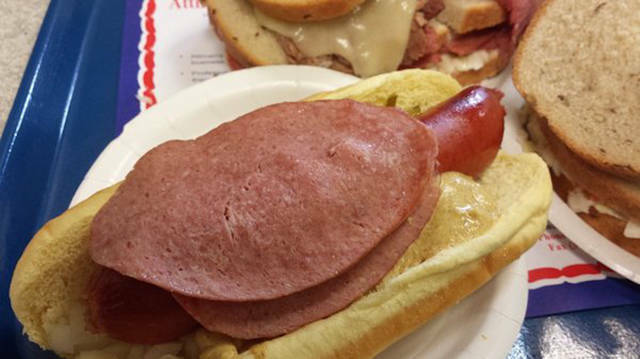 This dog may look strange, but it tastes amazing. 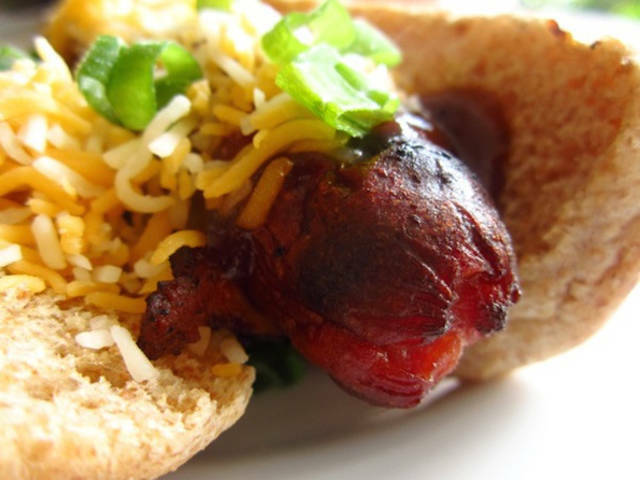 The first step is to cut a slit in the bun so that the ends are still connected followed with a bacon wrapped hot dog, relish, tomatoes, onions, avocado chunks, and mayo. 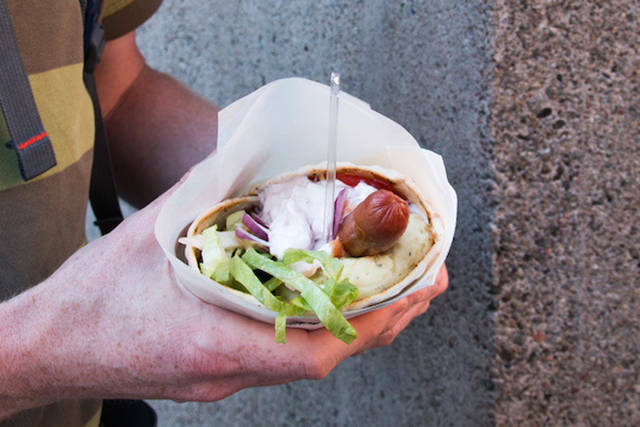 This dog is quite unique with mashed potatoes, shrimp salad, lettuce, and fried onions, all rolled up into a wrap. 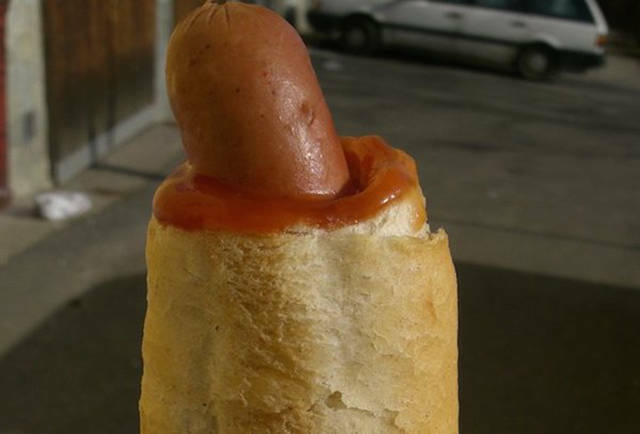 This simple recipe consists of a long sausage on a french roll, covered in a pile of pickled vegetables. 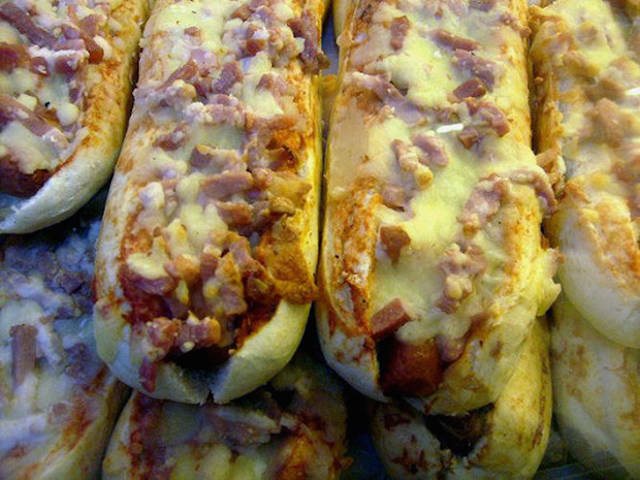 Think pizza on a hot dog and you’ve got yourself an Amsterdam Dog. This dog is covered in pizza sauce and broiled with mozzarella cheese on top.